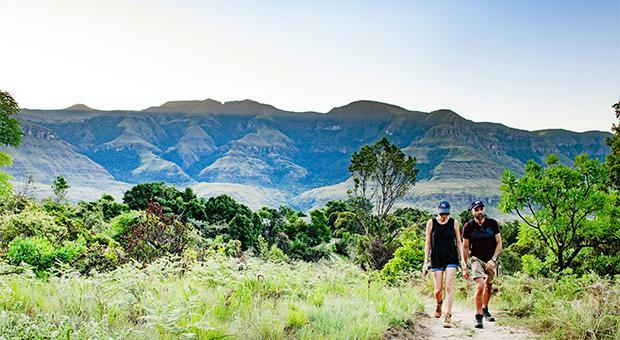 A local South African guide explains why KwaZulu Natal is the perfect place for outdoor lovers to visit. While honeymooning in the Drakensberg Mountains 27 years ago, James Seymour and his wife decided that they would like to settle there one day. The family’s dream finally came true three years ago, when they upped sticks and moved to their new home in the majestic area of Cathkin Valley in KwaZulu Natal. James is a registered nature conservation guide and has over 23 years of experience in the tourism industry in South Africa. 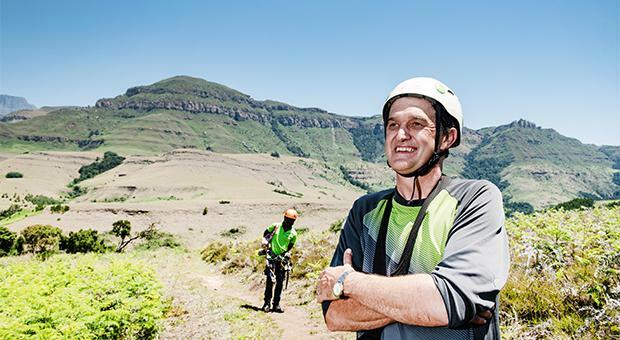 He has a deep knowledge of the Drakensberg area and his passion and love for the wilderness is almost contagious. 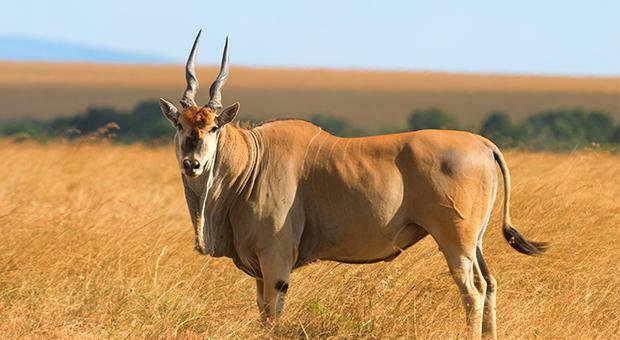 After spending some time talking to him, you can’t help but feel like a great South African adventure is calling your name. 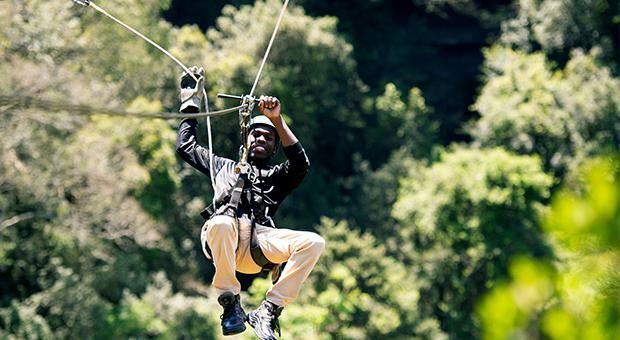 As well as admiring its beauty, visitors can really immerse themselves in the area by getting involved in some adventure actives while they are there. However, one activity stands out amongst the rest. James advises that for those who love to hike, there are certain things to consider in advance of hiking the Drakensburg. As well as considering taking a guide on your hikes, James also recommends being prepared for all sorts of weather conditions. James explains that the beauty of the mountains has inspired writers and travellers from all over the world. The immense landscape means that the Drakensberg is home to an array of plants and wildlife. There are lots of other exotic animals to be found, however James assures us that the area is very safe for hikers and visitors alike. You can’t visit South Africa without trying some of the local cuisine. Food is another major part of the culture in KwaZulu Natal and there are plenty of tasty options on offer. “We are known for our barbeques in South Africa and for our love of meaty dishes like stews and stake and a sausage known as Boerewors, which is very much South African. We have a way of preparing food called Potjiekos where food is prepared in a big steel pot and stewed for a few hours over wood coals – it’s really, really tasty. You could have it in vegetarian form, or else we use chicken, beef or lamb. It’s very popular. 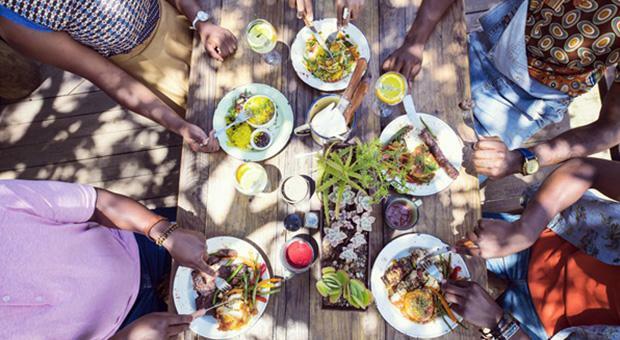 When it comes to dining alfresco, the South Africans know how to make the most of their stunning surrounding. Wine lovers can also rest assured knowing they can also have a great wine experience in this region. Regardless of who you are or what your travel interests may be, South Africa has something for everyone, and James is witnessing that first hand as a guide.